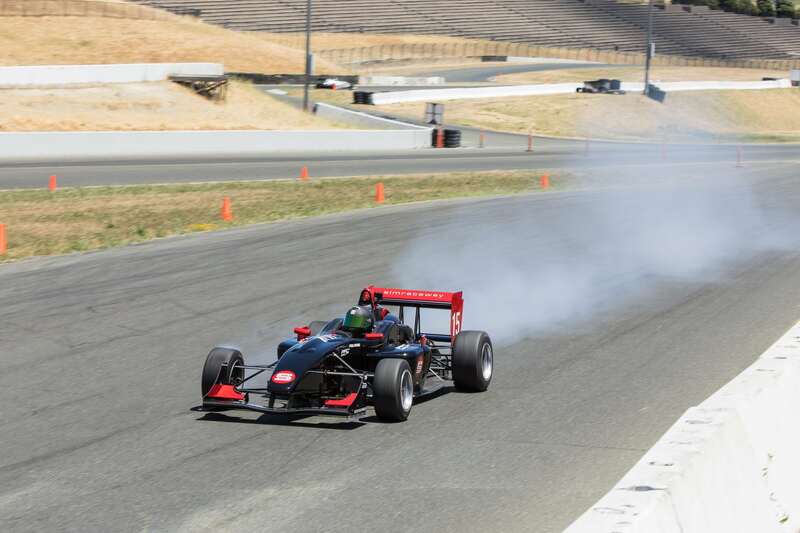 This weekend, the racers were back for round 2 of the Simraceway F3 Summer Series: 12 races being held over 4 weekends. After last months battling in race 1, 2, and 3, our points leader John Schauerman was back to try and keep his winning streak alive. 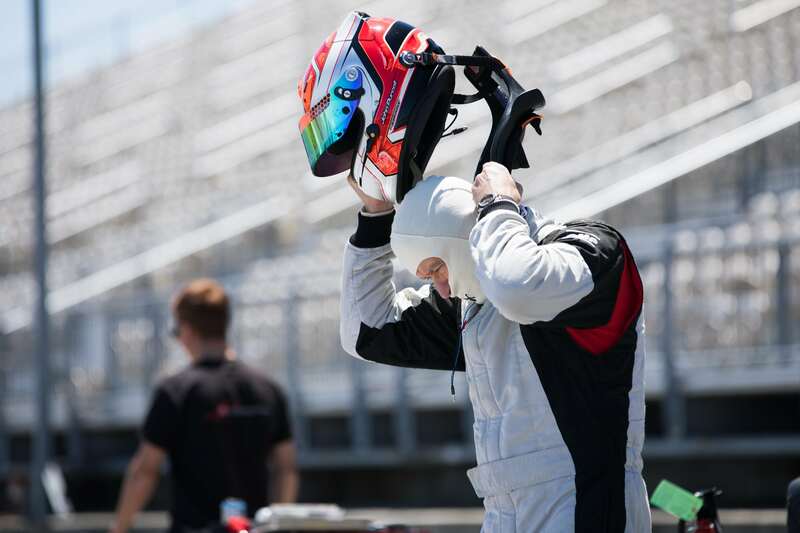 John Purcell, learning the car quickly, was on a steady climb towards the front last month and many were eager to see how far he would keep progressing in race 3, 4, and 5. Mark Siegel and Johnathan Haswell had some great back and forth battles during round 1 and we were hoping to see some more. Series regular Jim McGuire joined in for race 4 this weekend. It was looking to be an exciting weekend–and it absolutely was. 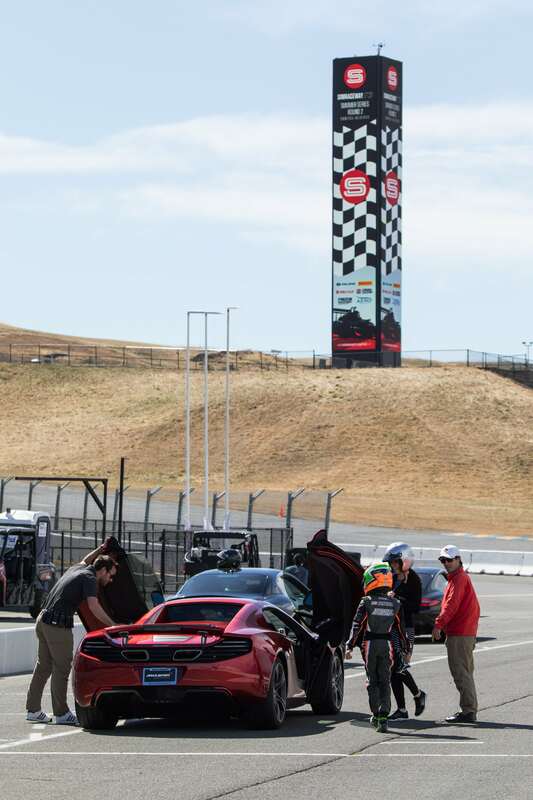 Since the last race weekend, Simraceway made a bold statement of its continued presence in the racing school industry by updating, among many other things, a fresh new look on the cars with new AERO paint liveries. 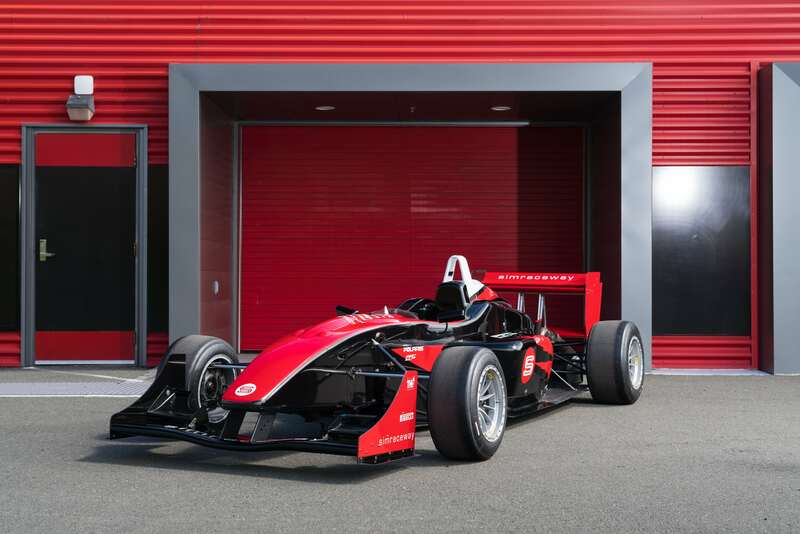 For some nine years, these F3 cars sported a singular black exterior paint, but now they burst in colors each car ranging from bright radiant orange to an intriguing white, rich black, vibrant gold, and fearless red. 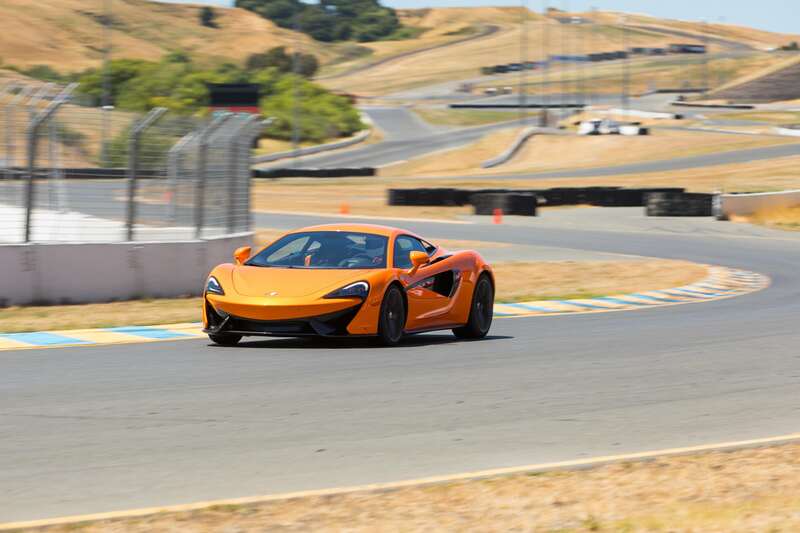 The new color palette and look of the cars brought something totally different to the scene, and the track was electric with a new and unrivaled energy. 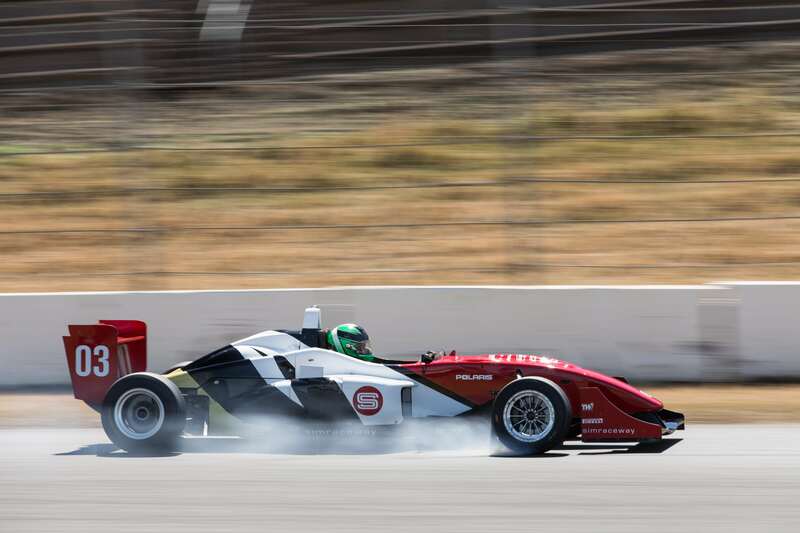 The drivers climbed into their newly facelifted, colorful F3 cars and headed out for qualifying on the 2.5 mile Sonoma Raceway. This weekend, they would be on the true classic layout of the track utilizing the daunting “Fast 10” turn, a 100+MPH right handed kink that must be taken with smooth confidence. It’s an important turn to take as quickly as possible because there are long straights before and after the turn, so it becomes a literal true test of time. John Schauerman grabbed the quickest lap time in qualifying and would be starting from the front row. He was able to lay down a 1:33.135 on his ideal third lap. John Purcell took his time getting up to speed and put together a great last lap of a 1:34.937 good enough for the second spot on the front row. Jim McGuire quickly getting back into the rhythm of these complex cars was consistent from lap one and put down a good lap of 1:35.162 and would start third. Jonathan Haswell and Mark Siegel were not far behind McGuire as they all went back and fourth for the next spot on the grid. Only two tenths separated the three racers. Haswell would start fourth 1:35.280. Siegel fifth with a 1:35.427. When three racers are that close in lap times during qualifying, we can project that the battle for that spot on the podium would be an exciting one. At the drop of the green flag, Jim McGuire from third had the most noticeable quick reflex, and passed John Purcell for the second spot. Purcell dug in and they went two wide at the apex of turn 2. They had a short drag race out and Purcell got the better run, taking his spot back from McGuire. John Schauerman had a good clean start from first. Jonathan Haswell had a couple of looks to overtake McGuire on two occasions in lap one, but was waiting for a better opportunity. John Schauerman slowly started his departure and started to gap the field. Mark Siegel closed in on the back of Haswell when he dropped two wheels onto the grass on the exit of turn 6. Siegel pulled up along side of Haswell entering turn 7 and took the fourth position nicely. Haswell would head to the pits to have his car looked over after the brief jaunt through the grass. He rejoined the race in fifth, after the car was looked over. Schauerman and Purcell both had a large gap on each other and the rest of the field. They were looking very safe in first and second place. Mark Siegel was still hungry after passing Haswell and had his sights set on McGuire. He closed in and was looking for a way by. McGuire, feeling the pressure of Siegel filling his mirrors, pushed a little hard out of turn six and dropped two wheels in the grass. McGuire did not appear to lose any speed as he kept his foot planted on the gas. For the remainder of the race Siegel was all over McGuire trying a couple of times into turn 7 but could not get it done. Meanwhile, Schauerman cruised to a smooth victory and fastest lap of the race of a 1:32.317. John Purcell confidently finishing second. Jim McGuire was able to hold off Mark Siegel in fourth and claim the third spot. Johnathan Haswell finishing fifth after having pit and unable to make the time back up. 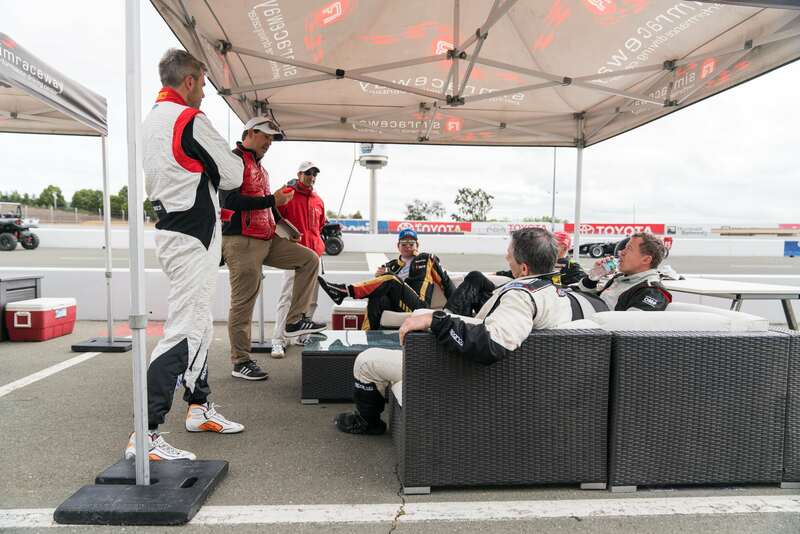 After a good day of racing, and some time to plan a strategy for the remainder of the weekend, the drivers were back at it on Saturday for qualifying. Once again, John Schauerman was able to put together the fastest time of a 1:33.409. But John Purcell was able to close the gap to Schauerman with a 1:33.888 to take the second spot, a big improvement from the previous day. Mark Siegel had a better result than Friday with his 1:34.227 for third. Jonathan Haswell would start fourth with his lap of a 1:35.766. The start of the race was a race directors dream. They all filed in nicely, nose to tail on the entry into turn 2. John Schauerman extended his lead slightly on John Purcell in second. They both would pull away from the remainder of the field over the first 5 laps. Purcell was able to hang on and match the lap times of Schauerman throughout the race but was unable to close the gap that was opened up early on in. Towards the last half of the race Mark Siegel had a large lock up in turn 7 and this developed a flat spot on his tire. On the last lap he couldn’t nurse it any longer and the tire lost pressure. He lost a spot and slowly made his way into the pits. John Schauerman took the win as he sailed cleanly to the checkered flag and also taking the fastest lap of the race with a 1:33.359. John Purcell finished second with a 5 second gap from the leader. 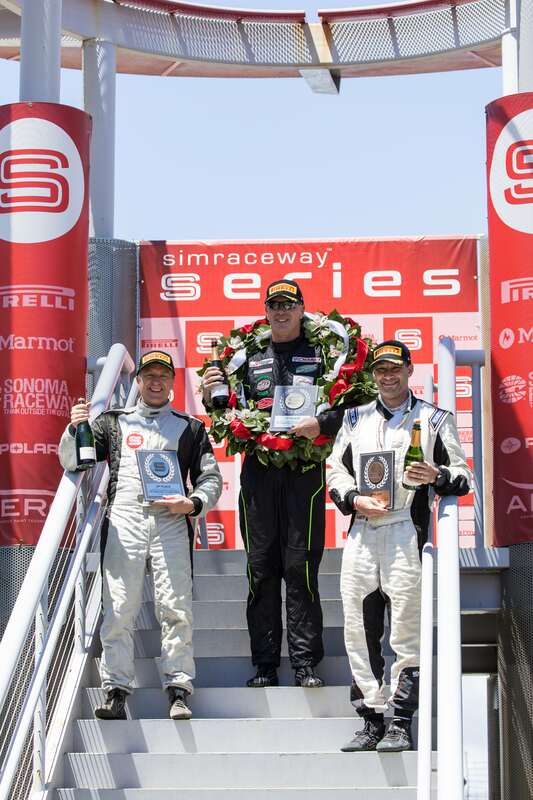 Jonathan Haswell finished third after gaining a spot on the last lap to Mark Siegel who finished fourth. Something was in the air as the drivers took to the track for their final qualifying session of the weekend. It’s almost as if they knew ahead of time that things would develop very differently this round. John Purcell was looking very fast in practice and all were watching to see if he could put together a good lap to have a chance to steal the top spot from John Schauerman. Schauerman up to this point had five consecutive pole positions and had won all five races so far. To the excitement of all, John Purcell was able to capitalize on the new tires and also new skills he’d been working on up to this point and threw down the fastest lap time of the whole weekend with a 1:31.877 on his ideal second lap. Then, Jonathan Haswell surprised the whole field as he went massively quicker than his previous best lap time of the weekend. Haswell grabbed the second spot on the grid with a lap time of a 1:33.315. To top it off, Mark Siegel also put together his fastest time of the weekend with a third best 1:33.352, only .037 shy of Haswell. John Schauerman followed close behind with a 1:33.479. Less than 2 seconds separated the field. Considering this shakeup in qualifying, this was looking to be the most exciting race of the weekend. With the starting grid mixed up and turned upside down after such an exciting qualifying session, the cars took the green flag and headed up the hill towards turn two. John Schauerman got a good jump and was able to pass Mark Siegel as he was looking to pass Haswell in second but had to back out as he was getting squeezed into the wall at the starting line. John Purcell in first got a good clean start and started to open up a couple of car lengths on the field as he was looking very fast and smooth. Schauerman now in the third position started to close in on Haswell in second. With a good run out of turn six, Schauerman tried to overtake into turn 7 but Haswell defended and Schauerman would have to try again. On the next lap he tried the same and couldn’t get it done. As they exited turn seven they appeared joined together as they headed towards turn ten. Schauerman, with a good exit had to make this one stick as he dove to the inside into turn eleven. Side by side at the apex, Schauerman was able to get out ahead. With all that defending and passing, Mark Siegel was able to close in and join the party as well. Schauerman instantly started to open up a gap and was comfortably in second. Now the exciting battle to watch was the battle between Haswell in third and Siegel very close behind. Seigel was trying some moves in turn eleven but he would need to find a better spot. Siegel was glued to his gearbox for several laps looking for a way by. He would try another three times to make it work but Haswell was not letting his spot go easily. Finally, with a great run out of turn ten, Siegel went to the inside and stabbed to brakes at the last possible second and was able to make it stick, stealing the spot from Haswell. John Purcell showed he is still not done exploring the limits of these cars and cruised to a great win and grabbing the fastest lap of the race with a 1:32.053. John Schauerman drove a great race and battled through the field nicely, finishing a comfortable second. Mark Siegel in third showed how patience and determination can work together nicely. Johnathan Haswell finishing fourth put up a great fight and is closing the gap of lap times to these veterans. In first place, John Schauerman was awarded the laurel wreath again and amassed 175 points in this round. He now possesses a total of 355 points in the race for the championship. In second place, John Purcell took 170 points for the weekend, with a total of 322 points in the 12 race summer series showdown. In third place, Mark Seigel gained 152 points for the weekend, and now has 276 points total for the series. Johnathan Haswell, not far behind in fourth place, amassed 148 points for the weekend, with a total of 271 points. 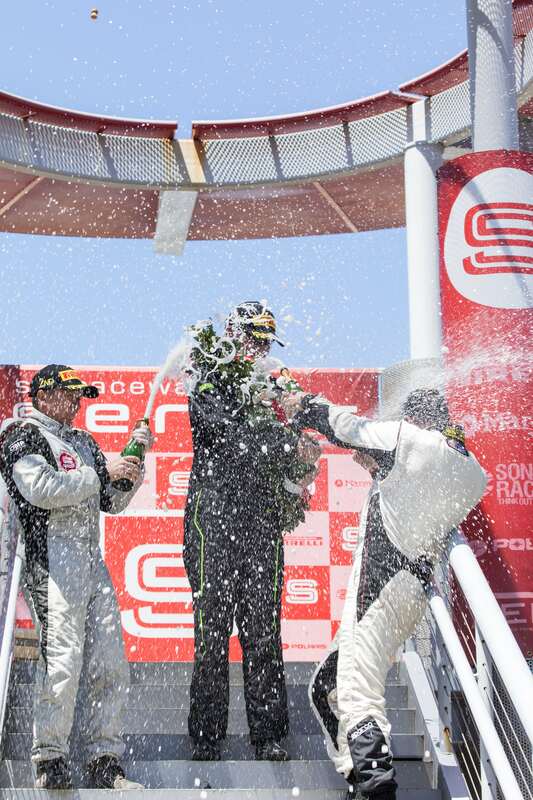 As the champagne flew and they held their trophies high, we can tell that the winner of this championship series is still to be determined. 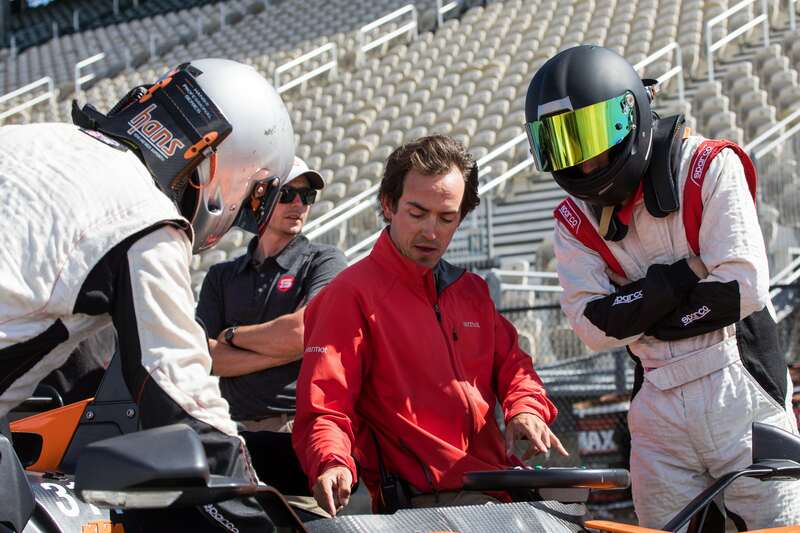 With new drivers looking to improve their skills and series veterans looking to step up their game, this is going to be an exciting finish to a series with the most advanced school car in the world. 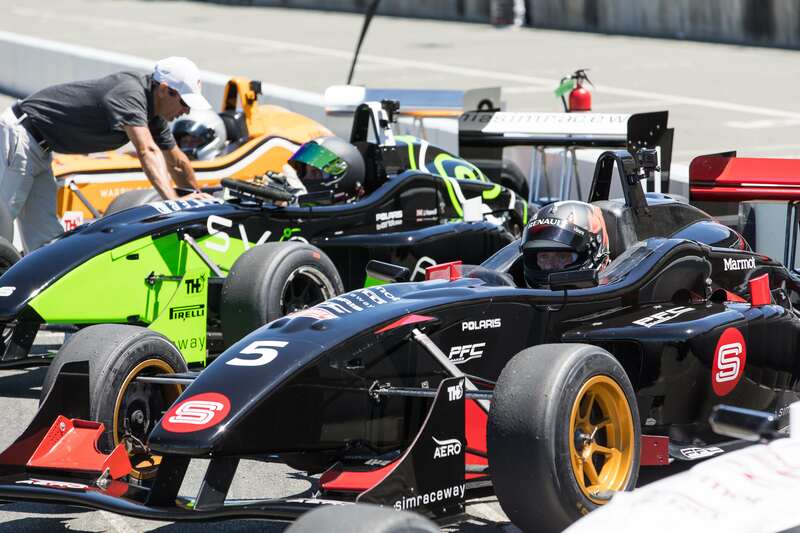 The Simraceway F3 Summer series is only halfway done. The drama, the unknown, the twists and turns are still unfolding. Come on out and join us for the next round of races, July 7, 8 and 9 as this story advances to find out who will ultimately take home the championship.